The leading regulator of binary option brokers, CySEC has recently changed their complaints procedure. We noticed at the beginning of 2016, investors are no longer able to submit a complaint directly to CySEC. They now must go through the Financial Ombudsman in Cyprus. As you can see from the old complaint form (view pdf), there seemed to be recourse. Investor were able to submit full details of their binary options broker complaints directly to CySEC. Now they are stating that they have no control over the brokers that they certify. Don’t they want to know if there are problems with the brokers? Now if a trader or investor has a broker they must visit the Financial Ombudsman’s website here. When we visited the site, it seems like it hasn’t been updated in quite a few years and it did not work to well for us. They direct you to fill out a complaint form by hand, we have it available here. You then have to email, fax or mail it to them. The worst part is you must pay to make a complaint! Does This Mean a CySEC License is Worthless? Although their complaint procedure is actually quite ridiculous and not user friendly, there is a reason for this. The majority of binary option brokers that you hear about today are still not licensed. There are so many online frauds and broker scams, that CySEC was bombarded with complaints about brokers they don’t even regulate. In the 2nd half of 2015, CySEC started cracking down on their own brokers to increase their level of transparency with investors. They audited and fine quite a few binary option brokers for not following the rules. We still see many complaints daily coming into the binary options forum, but rarely get complaints about the licensed brokers. 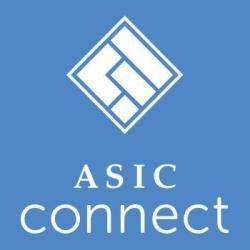 Australia regulates binary option brokers via the ASIC. The only active binary options broker that has a license from ASIC is a broker called HighLow. Although they clearly state that the Australian Financial Services License only applies to Australian residents, it is still one of the most respected licenses in the world. We asked various binary option brokers, why they did not get a license from ASIC in Australia. The reply was that the process is too difficult, and the cash requirements are too high. This leads us to believe that, a broker that actually received such a license from ASIC, is not a broker that will be going out of business tomorrow. The licensing of binary options in the United Kingdom is basically in limbo. The UK Gambling Commission does not regulate binary option brokers because they feel it is a financial product like Forex and Spread betting. In December 2015, the FCA was given the authority to regulate binary option brokers, but never actually implemented anything. They do not even have guidelines of what the license requirements would be. Rumor has it that they will start issuing licenses to binary options brokers in 2018.